At Prestige Valuations, we can achieve anything you want in terms of design. That special diamond or Ruby ring you have always wanted is easily achievable. Directors of Prestige Valuations have been making jewellery in Hatton Garden for the last 35 years and during that time have worked with some of the finest craftsmen in Europe using some of the most advanced techniques. 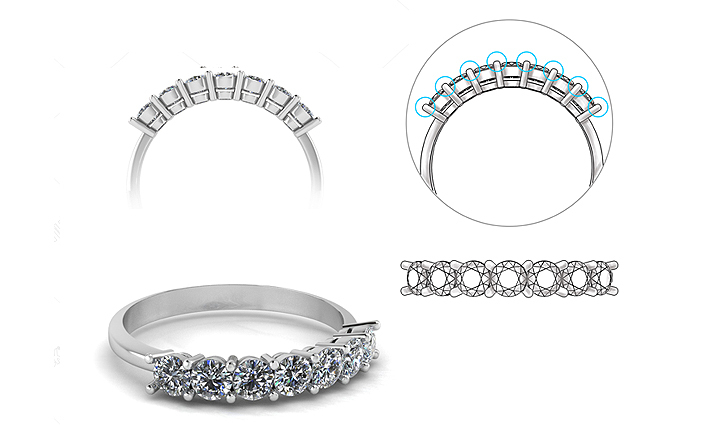 Combining this skill, expertise and knowledge, he enables us to make the most exquisite bespoke piece of jewellery that have delighted and enthralled our customers. So, you can choose what stones are to be used; be it ruby, tanzanite or sapphires. You decide if you have diamonds, where they are to be mounted, how they are to be mounted, and of course you can decide what metal to be used; red, yellow or white Gold or Platinum. The Prestige Valuations head office is in London's Hatton Garden - the heart of the UK jewellery trade. We have access to the finest craftsmen in Europe. Our master craftsmen can make almost anything and have proved their skill time after time. We also have access to the highest selection of loose diamonds and coloured stones to offer an outstanding variety of choice. You can fix an appointment to discuss with us about your idea regarding the jewellery item you want us to make. Booking an appointment will enable us to make sure we have things ready for you, so that particular shape and quality of diamond or Ruby you are looking for is ready to view when you arrive. We have access to a huge selection of diamonds and coloured stones to create exactly what you have visualised. We use Computer Aided Design (CAD) techniques to make a lot of our bespoke creations. 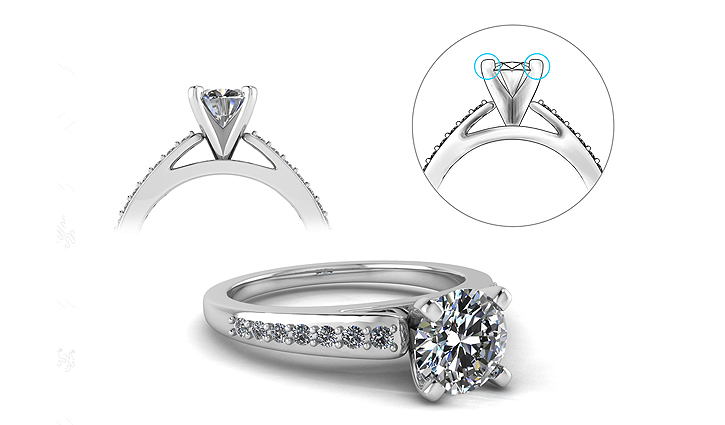 We can convert your ideas for your ring, earrings or pendant in to 3D digital format images, which can be viewed, and changed slightly before we proceed to making the finished item of jewellery. We can arrange for you to come and look at a selection of different sizes, shapes and qualities before you make your decision. We would also give you an estimate as to how much it should cost. Our master craftsmen are capable of making almost anything and have proved their skill time after time. We have the skills and experience needed to help customers who are looking for replacement. We are skilled to make a wide range of modern and contemporary designs.